Design Specs: Optical user enviornmental database interface. Features: Allows the user to learn more of their surroundings, as well as decode and translate codes or transmissions. The Scan Visor is the ultimate merging of technological interface with the user's enviornment. 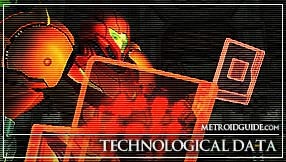 The visor allows the user to target various objects within their surroundings and have them immediatly cross referenced with Galactic Federation databases to get instant intel upon the object in question. This feature extends to the point of being able to translate and decode alien / mechanical readouts they may not be immediatly known to the user. 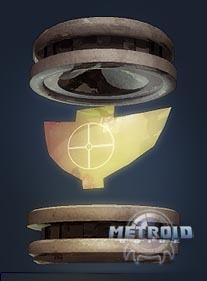 With features like this, the Scan Visor allows the user complete knowledge of their situation, as well as keep track of mission critical objectives.